Being that Florida is situated on a peninsula between the Gulf of Mexico and the Atlantic Ocean, this makes the state an open gateway for trade. According to InboundLogistics, “That geographic advantage translates into vast volumes of international trade. Among U.S. states, Florida is the number-one trading partner of every nation in Latin America and the Caribbean except Mexico. If you look at the map, Miami is closer to most major cities of the Western Hemisphere than even Mexico City.” With that being said, the amount of import that comes into the state makes it very accessible for all of your marble needs. Purchasing tile can be challenging, but it all starts with looking in the right place. If you are a contractor, then the marble that you purchase should be more than enough to support all of the homes that you plan to build. The definition of wholesale is described as: “the selling of goods in large quantities to be retailed by others.” As it is offered at a low price, the catch is that it is a one-time deal. The best thing to do would be to choose wisely in which type of tile you want. Porcelain Tile is a newer type of tile as it is ceramic and is highly popular among homeowners. The tile is made from porcelain clays and heated at much higher temperatures, making the entire product very dense, porous, and less prone to stain. If there is a spill, it is extremely easy to clean it off and go on about your day, as porcelain tile is very durable and long lasting. HomeRenovations says, “Chip the ceramic tile and you find a different color underneath the top glaze. Chip the porcelain and the color keeps on going—the chip is nearly invisible.” As these traits are positive, many contractors use this for both indoor and outdoor installations. It is recommended to have porcelain tile professionally installed, as it is very complex to cut the squares into place. Once the tile is installed, enjoy the sight of your beautiful tile! Wait! With every highlight is a lowlight. There are a few things that you should know about porcelain tile. Although it can clean up very easily, homeowners will have to worry about one thing: grout. This can attract stains easily, and can be very difficult to get rid of if it worsens. Also, the floor is not meant for a living area, as the cracks in between may not be comfortable for everyone walking on bare feet. > Alberta Cream Wood Plank – Alberta Cream is a gold and brown toned wood grain printed rectified porcelain tile. These porcelain tiles are made in Spain. > Vancouver Maroon Wood Plank – Vancouver Maroon is rectified porcelain with wood grain finish. This lot has at least 68 different prints to provide the best desired natural wood look. > Travertino Ivory Porcelain –This matte-looking porcelain tile has faint crème and gray veining. 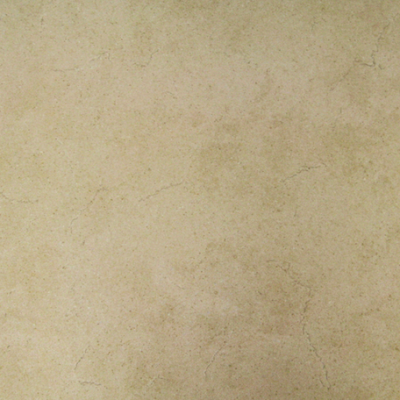 > Calcatta Gold Polished Porcelain – White to light gray background with gray and yellow veins. > Montreal Cream Wood Plank – Dark cream grayish color wood grain-like porcelain tiles. This rectified porcelain plank tiles originates from Spain. For more information about the surface finish, edge treatment, dimensions, and costs, visit our online catalog here. Remember, what you see may not be what you get. Making a decision to purchase marble from a wholesale distributor is a major step. This means that you have made up your mind and are content with the type of tile that you are purchasing. If you have not actually seen what you are receiving, it might be a good thing to sample the different types of tiles that you are interested in. Nalboor Tiles offers customers a chance to see and feel exactly what they are going to purchase online. Through our website, you’ll have the opportunity to order a free sample of any type of stone tile in our online catalog. This way you will be able to decipher the differences between all of them before putting a dent in your wallet. Nalboor Tiles is dedicated to making sure that we provide wholesale marble to any serious buyer and contractor. The idea of providing our slabs of marble to you in bulk makes your job easier. If you buy in bulk, you ultimately save in bulk! Depending on the amount of tile stone you purchase, Nalboor Tiles will provide a generous discount according the amount you order. What also makes us unique is the guaranteed free samples we offer. You can take a look at this option here. Shipping is provided by FedEx Ground, and a fee applies if you want your samples shipped overnight. If you are the market for porcelain tile but could use some guidance about the different types offered and its uses, consider Nalboor Tiles. It’s where you can choose from a variety of porcelain tiles and even get a free sample! If you have any questions, concerns, or interest in purchasing our tile, contact us through our online form or call us at 305-501-4548. Solid White Polished Porcelain Tile. White backround with dark gray and yellow veins polished porcelain tile. Light Cream to yellow light brown veins polished Porcelain Tile.